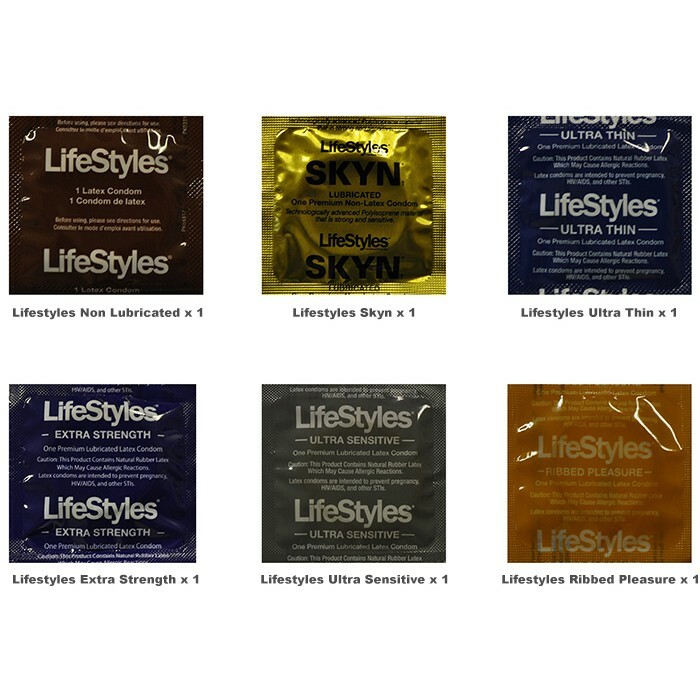 When you hear the word ‘Lifestyles’ and condoms you would believe there would be a selection for whatever lifestyle you choose. And you would be correct. The brand began the closest-to-wearing-nothing SKYN non-latex condoms. Through constant research and development they have designed superior condoms that men praise. All Condom has a special Lifestyles condoms trial pack so you can sample the pleasures that each offer – at an extremely reasonable price. 1 x Lifestyles Non Lubricated Condom – These condoms are the longest and widest dry condoms on the market. The high quality non lubricated condoms come with a reservoir tip and are perfect for use with your favorite water or silicone-based lubricant. 1 x Lifestyles SKYN Condom – SKYN® is the first premium condom made from polyisoprene – a scientifically formulated non-latex material that delivers the ultimate sensitivity that is the closest thing to wearing nothing. Polyisoprene material provides a softer, more natural feel than latex. 1 x Lifestyles Ultra-Thin Condom – This condom offers the most natural feeling. It is ideal for those looking for extra sensitivity with security. So thin it’s like wearing nothing at all. 1 x Lifestyles Extra-Strength Condom – It is the original extra strength condoms. Not only does it provide extra peace of mind when it comes to staying protected, it offers a great deal of sensitivity as well. 1 x Lifestyles Ribbed Pleasure Condom – Made from the highest quality latex and featuring rows and rows of raised ribs, this condom is designed to please both partners by providing the maximum amount of sensation possible.